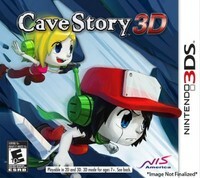 Many are excited for the new Cave Story coming to the 3DS. Gamasutra has posted an extensive interview they had with Cave Story developer Daisuke “Pixel” Amaya. He speaks of his inspirations, philosophy, and general thoughts that helped develop this fantastic game. The original Cave Story was released as freeware in 2004. It was then added to the list of downloadable games on the Nintendo DSi and Wii. Now, we are looking at a new version, and I’m very excited. I had never played Cave Story until I started seeing all the excitement for the new 3DS version. I ended up downloading it, and I can definitely see why it’s so popular. If you haven’t tried it yet, I really suggest giving it a go. You won’t regret it. 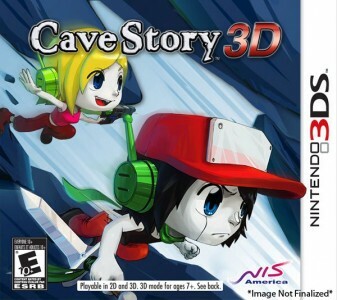 What was the decision that led you to want to bring Cave Story to the 3DS? Daisuke Amaya: The main reason is to get back to my roots, to what the original was about, and what I wanted to express, and I thought it was possible on the 3DS. Also, by completely updating the graphics, I wanted to make something completely new, as well. Regarding the music, I wanted to make it very close—actually the same—as the original PC version, but at the same time I wanted to make something completely new that would fit the new 3D world. So is this essentially the same game with the new additions? How different is it from the PC version and what we’ve seen before on WiiWare? DA: It is a port, in essence, but there are a lot of new features to it. For example, the graphics are completely new and were created from the ground up. The additional stuff found in the WiiWare version is all included. You’ve had a long journey with this game. Originally, it was created as a freeware PC download, and now it’s come all the way to the point where it’s being produced as a physical cartridge. It’s been quite an evolution of this game since you originally came up with it. What are your thoughts? DA: It’s just a lot of things. I couldn’t even have imagined it before. The type of games I like are the retro types of games. But through releasing it on consoles such as the WiiWare and seeing so many people enjoy it as well, I’m just very, very surprised. There are just so many things I didn’t know would happen. When you originally made the game for the first time, on PC, why did you make the game originally? DA: Because I like those types of games. Were you interested in finding an audience for it, or was the act of creation just the purpose of making it? So the total years spent in creating Cave Story was five years, out of which two years was me just creating it—but I scrapped what I had created. The rest was spent trying to get the audience to like what I had created. That’s why the games that I make are something that I want people to enjoy rather than my creating just to create. When you made this game, not even taking into account that you didn’t have a purpose for other people to play it, there wasn’t really a way to distribute it to other people. Now that it seems like the kind of game you made is much more popular, there’s many more ways to get it to people. Did it surprise you that this kind of thing became more prevalent over the years? Are you happy, though, that you can make this kind of connection more easily? Are you happy that more games like this are kind of cropping up because of that? DA: I’m very happy for that. In terms of distribution methods, file size was something that I really cared about—whether it be resolution size, the size of the files, I wanted to make sure that as many people play it as possible. That’s why the system requirements were very low; it was something I cared about deeply. I want many people to play my game. So now more people can play it on 3DS. Does that make you happy as well? DA: I’m so happy that it’s beyond my capacity to explain it. The main character of this game has amnesia. He doesn’t know anything about the world he is in, which is kind of how the player might feel when exploring the caves. Pixel does a great job with his ideas on how to engage with his players to keep their attention. If you want to learn more about Cave Story, just try it out for yourselves. The current release date for this 3DS version is set for November 8th. This interview actually continues on for quite a while, so for the full one just go here.